Low blood pressure, also called hypotension, is inadequate blood pressure to allow blood flow to the organs. Symptoms of low blood pressure include lightheadedness, dizziness, and fainting. 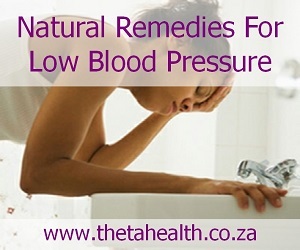 If you suffer from low blood pressure, use our natural low blood pressure remedies, health products and vitamin supplements below.